Continuation of a downtrend or the beginning of a reversal? In the last post about the technical analysis of the tools of the BTC and the ETH, I indicated that the bitcoin (BTC) is in a downtrend and that the first zone where the price could bounce would be $ 8,000 – $ 7,600, so it happened. Analyzing the schedule, it’s too early to talk about the end of the downtrend and about that exactly in this price range there will be a reversal. 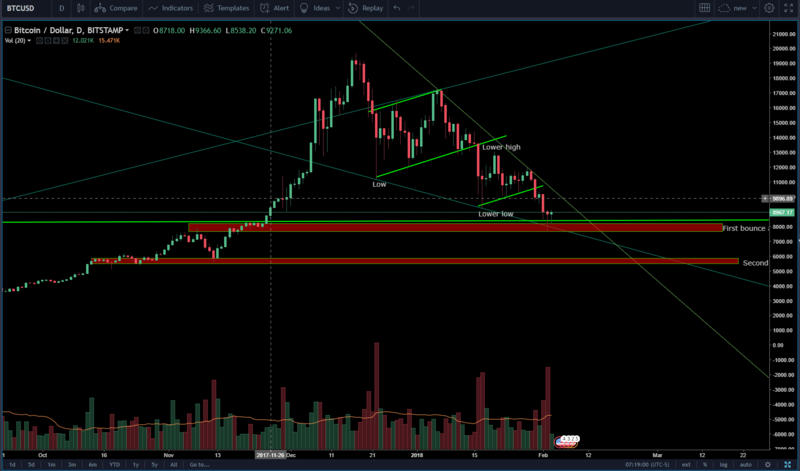 At the moment I’m not in a hurry to buy BTC, I want to see how price will make a large reversal formation and then it is more likely that the downtrend will end and I will buy BTC. Ethereum(ETH) all the same started to sell and I expected that the price will not fall below $900. But do not forget that the crypto-void market itself is very volatile and it’s only at the stage of origin, there are a lot of not experienced players who are panicked when the BTC falls and begins to come out of other coins. 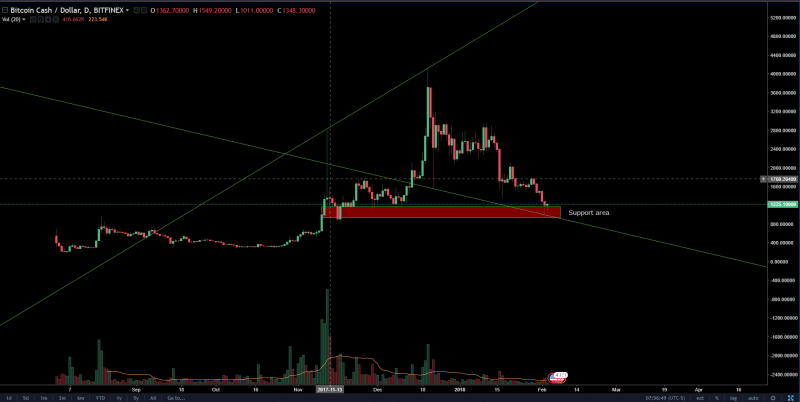 The price of the Ethereum (ETH) fell to the previous bounce zone of $800- $750 and on the same day bounced 60% of the decline for the day and the bar closed above $900. This showed us that in this area from $ 750 – to $960 there are big buyers. If for BTC I’m waiting for a large reversal formation, then I bought ETH at $910 on the last rebound and i keep it until now. At the moment I can not say exactly how long it will take for ETH to go above $1220, but when it does, the price will tell us that we will go above the high of $1400. BitcoinCash(BCH) fell to its first resistance level, $1163 – $900. In this range, I bought 40% of the total position and will observe how the price will behave during the next 2 weeks. 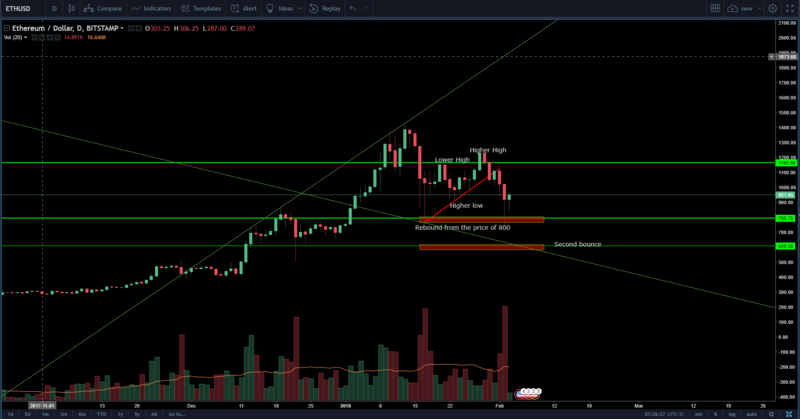 Broadening formation shows us that if the price does bounce off this level, then it will reach the price range from $4800 to $5200 in the future.